Does your team use different tools for different processes? Or maybe, you use an expensive process automation tool even for basic workflows? Well, we’ve got news for you. 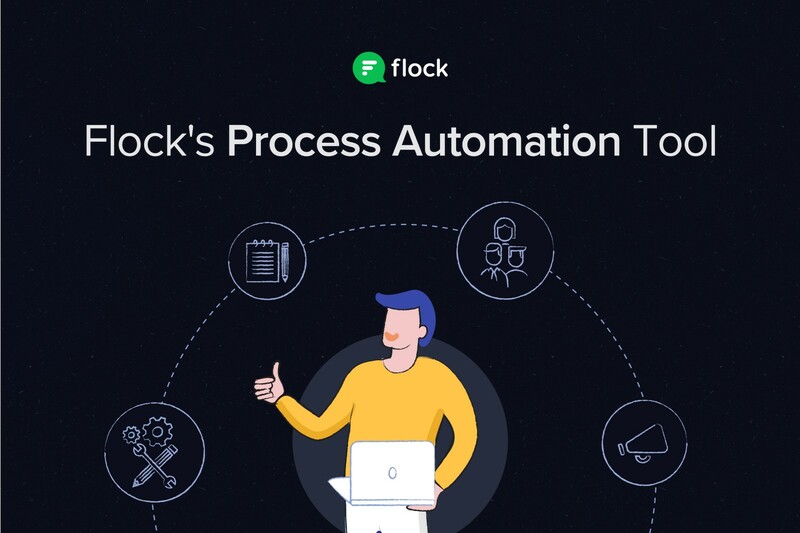 Introducing Flock’s own Process Automation module, which helps you automate any process in your organization — from common to custom workflows. 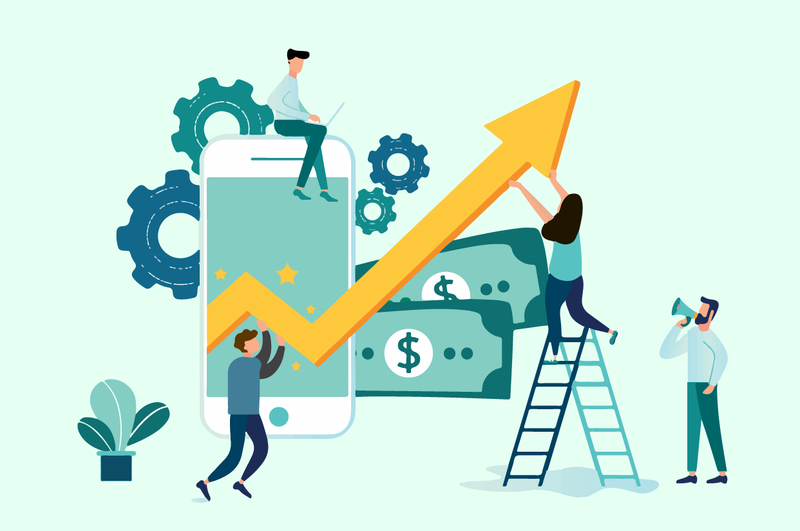 Even the most complex multi-department and repetitive processes — like employee onboarding and reimbursement claims — can now be wrapped up in real time, and without much hassle. Say you’re the HR head of your company. 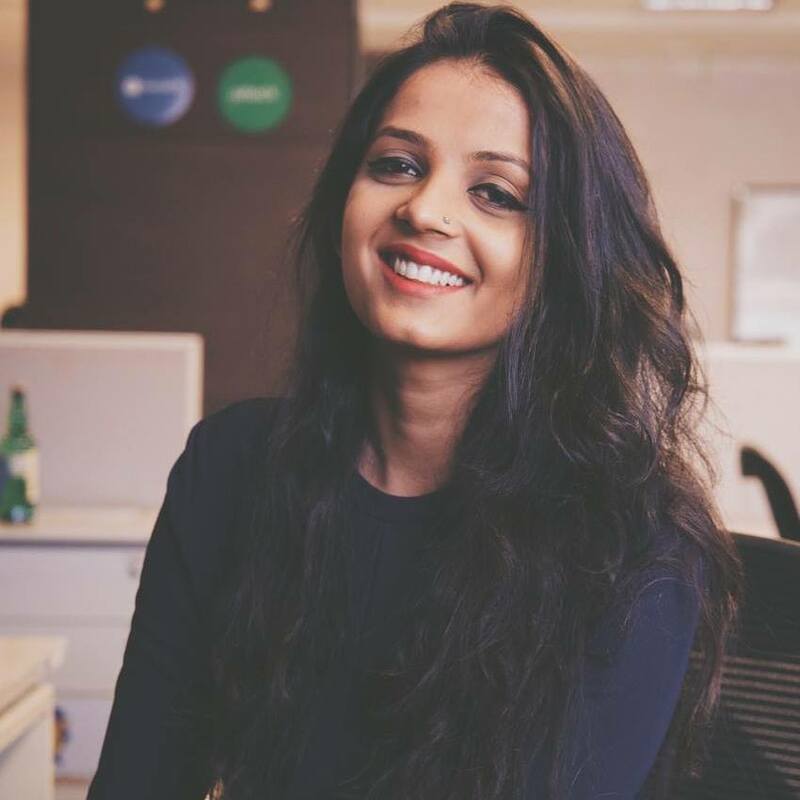 We bet that one of the most routine things you do is welcome/onboard batch after batch of new hires. Now, this can be a rather tiring process — you need to constantly follow up with multiple stakeholders and teams. We’re thinking seat allocation to laptop requisitions. So, now tell us..in a case like this, would you rather…. Send out dozens of emails to people across departments to onboard employees ONE by ONE? Just start a process and have tasks assigned automatically, so that all you have to do is get a top-level view of the project? Managing multiple processes and tasks can be quite cumbersome (and not to mention, a lengthy affair). 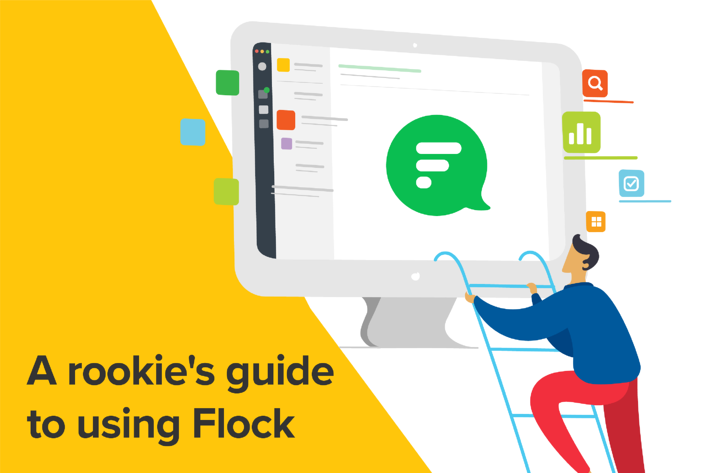 Flock’s Process Automation tool integrates seamlessly with the Flock messenger to give you real-time updates on the tasks you are a part of, or processes you have started. 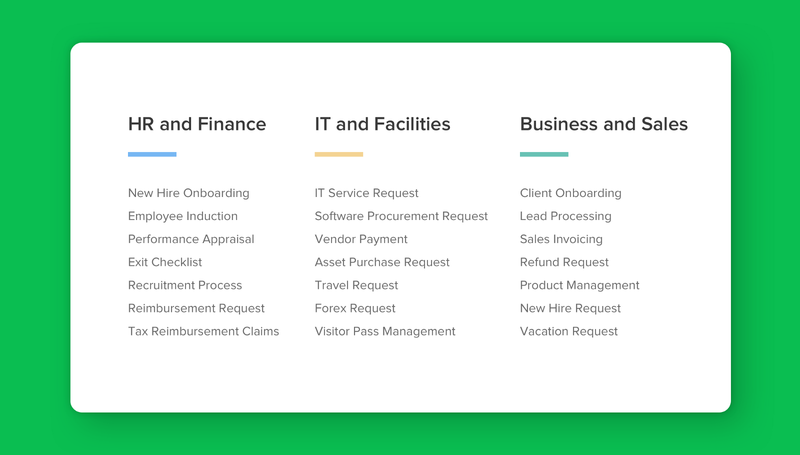 One platform for all processes: The module allows you to automate any process within your organization. The module’s flexibility ensures that even complex workflows involving several departments (e.g. 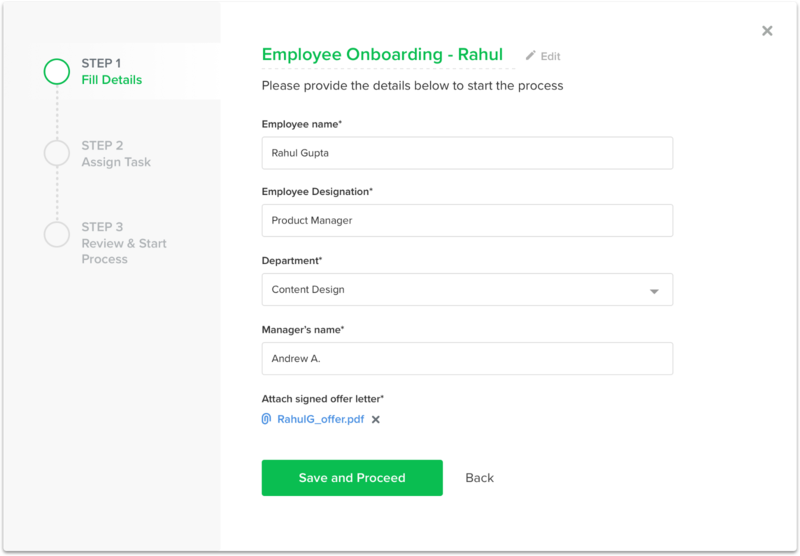 : Employee onboarding) can be easily designed and managed. 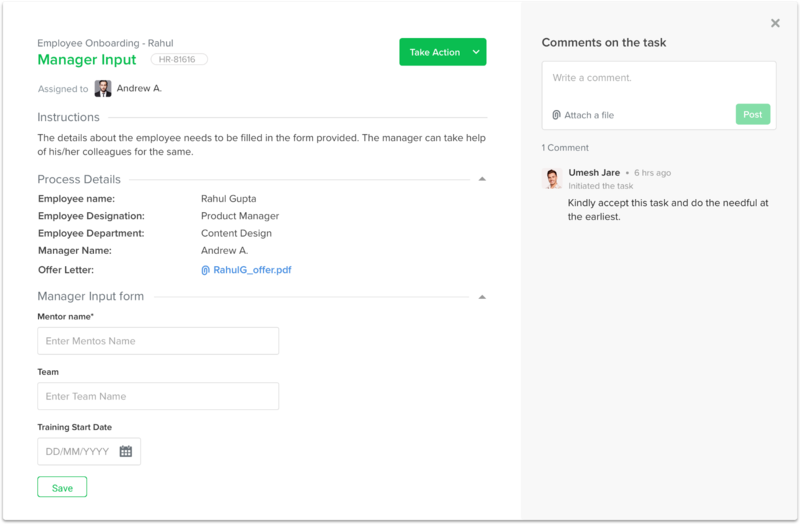 Increased productivity and faster resolution: If you’re working on a task, all requested details and communication are documented within the task. This coupled with smart reminders ensures increased productivity in your team and helps get work done faster. No technical skills required: As the module does not require an extensive setup, anyone can start processes on Process Automation, with little or no assistance from their IT teams. Much cheaper than existing alternatives: The module comes free and completely integrated with the Flock messenger. 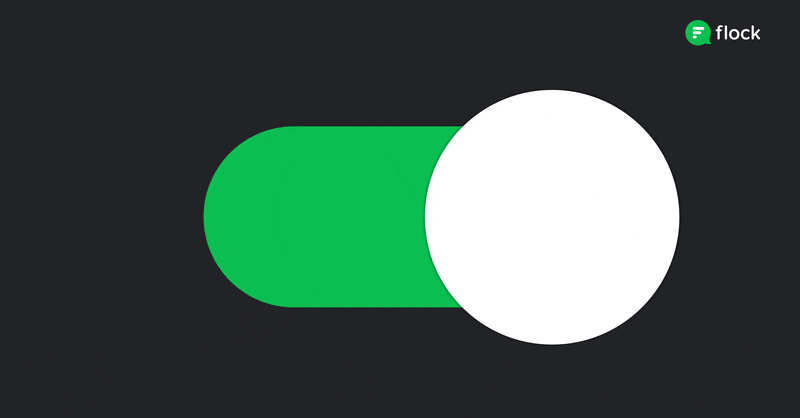 Even better, the module along with the paid version of the Flock messenger is still available at a fraction of the cost of other process automation tools in the market. Great! 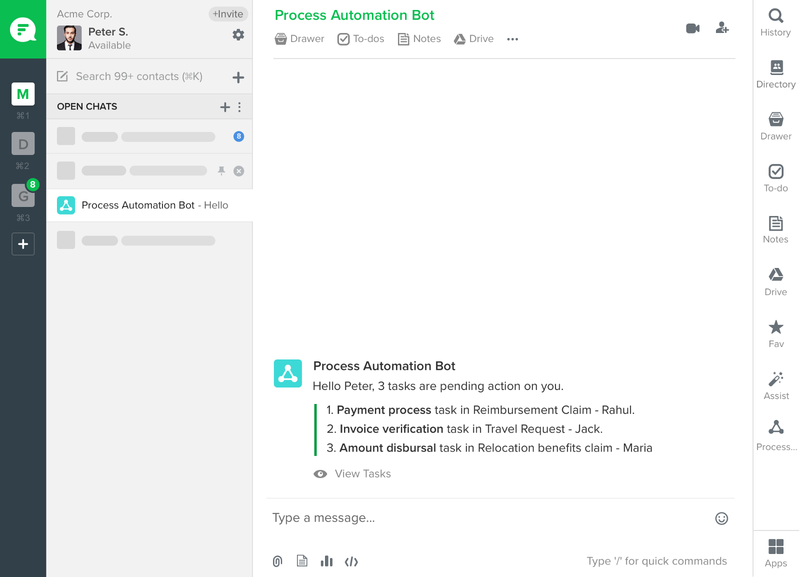 How do I get Process Automation for my team? Ready to create a process for your team or your organization? Watch the video to get started!